Ben Munson, left, and Daniel Mooney. 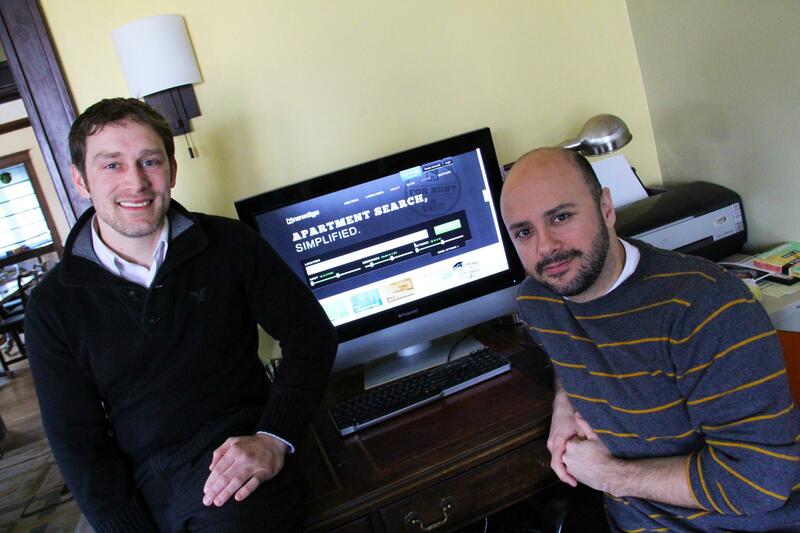 The co-founders of Newdigs.com are gearing up for a national rollout this Summer. 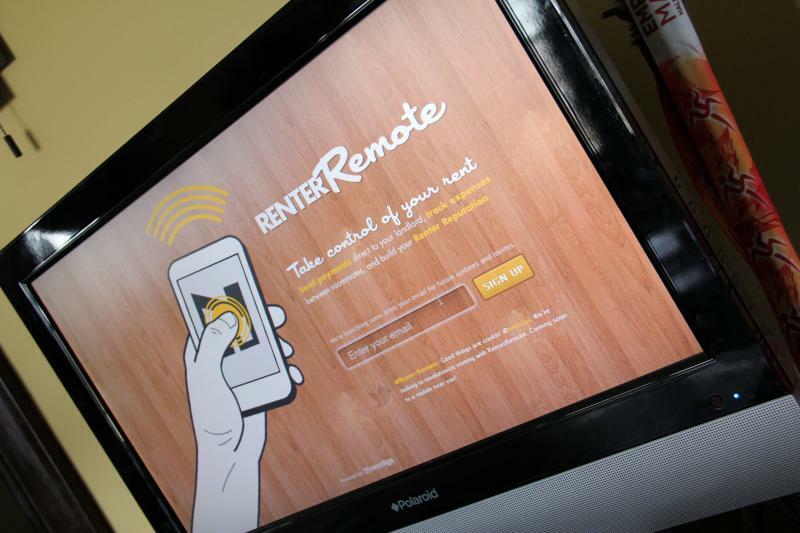 Newdigs' "Renter Remote" lets tenants pay rent via their smartphone. The app is one of several tech-savvy services the company is building into its web platform. Craigslist dominates the world of online rental listings. Newdigs.com is trying to change that. “It’s kinda like that Craigslist apartment section, but on a Google Map,” says Newdigs CEO and co-founder Ben Munson. The Rochester-based startup will soon be taking on the national Goliath in cities across the country. After nearly two years of beta testing in the Rochester market, Newdigs says its user-friendly, highly searchable platform is ready to leave the nest. About 1,000 Rochester area landlords have listed with Newdigs in the last year-and-a-half, according to Munson. Unlike the list-based Craigslist (which searches keywords), Newdigs is oriented around mapping and customizable search options. Newdigs first asks prospective renters where they want to be. After that, they can customize their apartment hunting with any combination of the 140 or so built-in criteria. Say you’re looking for a particular school district. Munson says the benefits of a map-based system are fairly obvious. Online systems for prospective homebuyers are densely populated with listings, Munson says. But the rental market has largely been ceded to Craigslist. In a city like Rochester - where nearly 6 out of 10 households are renter households - the market is sizable. Newdigs wants to be a platform for improving the rental experience of both renters and landlords. The company is about to launch a smartphone app they call the “Renter Remote.” The app will let tenants pay rent with their phone, as well as file maintenance requests and other messages. Newdigs could eventually serve up location-specific advertising as well, Munson says. But even with a sophisticated user experience, building a website around rental units is not an easy nut to crack. Munson says “chicken and egg problems” plague online listing sites: You have to convince both landlords and renters to use it. And with the price point of the competition at zero, web developers have to find a way to make money while providing the bulk of the service for free. Newdigs raised about $100,000 from a “friends and family” investment round. Besides personal savings, Munson and co-founder Daniel Mooney say they’ve received no other outside funding. They do report that one investor may soon buy an RV for Newdigs, with Munson and Mooney spreading the brand from city to city. The co-founders say Newdigs is going national starting this summer. That’s the other nut Newdigs is trying to crack: catalyzing a vibrant web startup scene in Rochester. Munson says potential is abundant in Rochester; venture capital is the missing spark. “Yeah, I’d like to start a successful dotcom software company, that’d be great,” Munson says. “But I don’t just want that, which is why I haven’t just picked up and moved to California and taken $4 million of angel funding. Munson and Mooney are talking about starting a new “community incubator” around web startups. 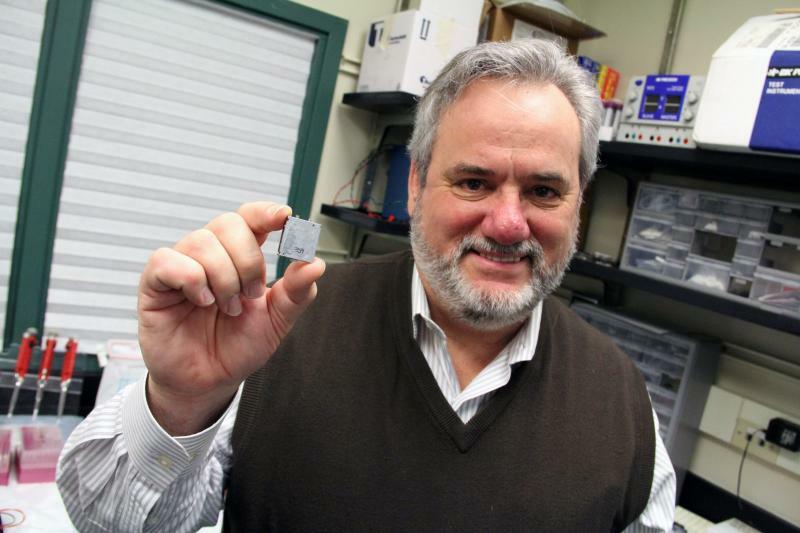 Newdigs itself is a recent graduate of RIT’s Venture Creations incubator. The idea is to help more web startups get the resources they need to succeed. If the critical mass is there, Munson reasons, the venture capital will follow. Bob Juncosa has a passion for old airplanes. "This is one of the models that I made," Juncosa says. "This is a 1915 Sopwith Pup." Juncosa points to a photo on his smartphone. It's an old biplane built to quarter scale. It has a wingspan of about eight feet. Asked why he builds vintage airplanes, Juncosa says it's pretty much the same reason he runs a biotech company. "It's the challenge of 'No one's done that, now let's see if we can go do that,' " Juncosa says. The tricky part with both a biplane and a company, he says, is to "get it off the ground and make it work." In the realm of international journalism a "fixer" is someone who makes obstacles go away. Need a source? Need a translator? Need a car? Call your fixer. In the foreign land that is aging and illness, No Nonsense Enterprises is Rochester's fixer. 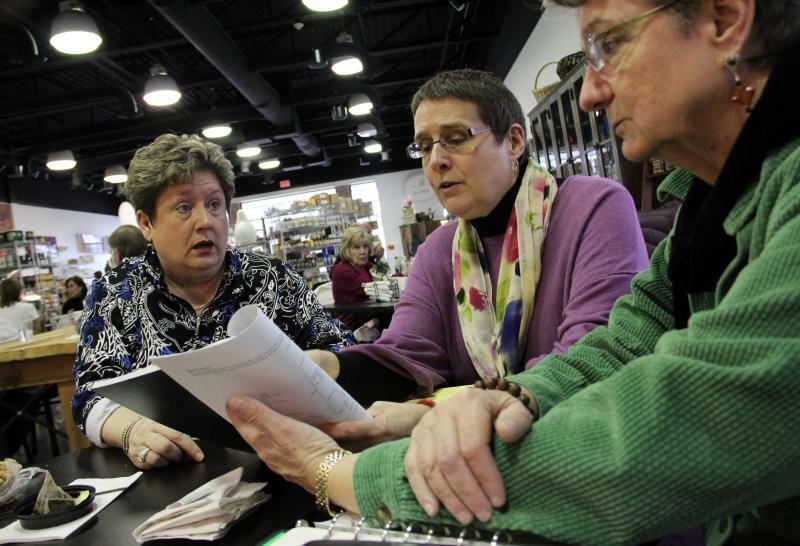 "We try to be a single phone call," says Mary Guhin, one of the three Xerox retirees behind No Nonsense. "So that when people contact us we can say to them, 'Don't worry. This may seem overwhelming, but we're going to break it into manageable tasks'." No Nonsense handles everything from tracking down benefits, to making new return address labels, to coordinating health care. In short, Guhin, Cheri Wilkinson and Shirley Edwards are there to help. "Because what all of us did, at various times and in various ways at Xerox, was project management," says Guhin. "And that's really what [aging] is: a big project."